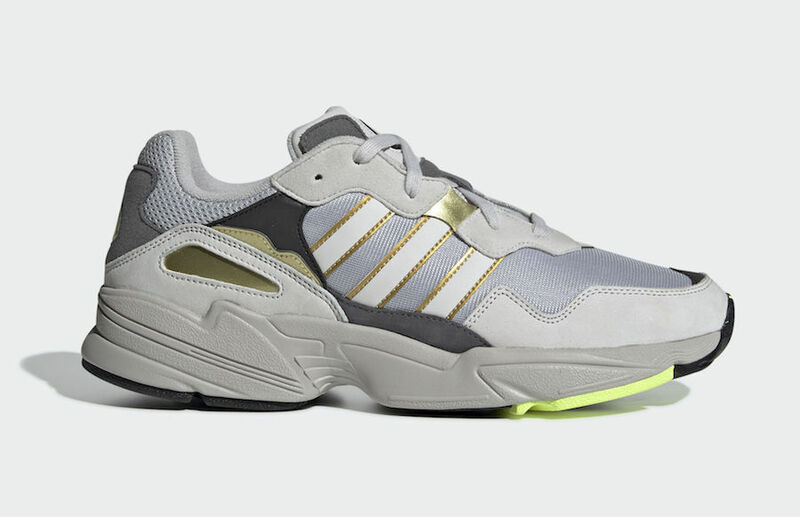 The adidas Yung 96 lineup is set to expand this spring season, and here is a look at one of the upcoming new colorways that will be available. The shoe comes equipped in a mix of mesh, faux suede and nubuck that features Grey tones paired with luxurious Gold detailing and hints of Frozen Yellow for a nice contrasted pop. A Grey midsole atop a Black rubber outsole completes the design. Check out the official photos below, and look for this Yung-96 to launch very soon at select retailers and adidas.com. The retail price tag is set at $100 USD.